* The verb to transcend means to go beyond something. In Transcendentalism, it meant that there are truths that go beyond, or transcend, proof. These were truths that were simply "known" but could not be proved with logic. These truths were a private experience of faith and conviction. * Kant, with other German thinkers, influenced the views of some important English writers: the poet-critic Samuel Taylor Coleridge and William Wordsworth, and the Scottish philosopher-historian Thomas Carlyle. These three, especially Carlyle, exchanged ideas with Ralph Waldo Emerson of Concord, MA. * It was Emerson who brought the movement to New England and nurtured its growth in the United States. Who is Ernest Holmes? 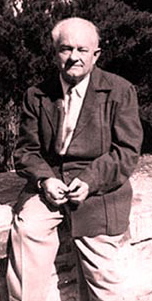 Ernest Holmes is the founder of the International Religious Science movement which is recognized as one of the leading viewpoints in modern metaphysics. Science of Mind is a spiritual philosophy that easily applies to everyday living while also expanding the student's sense of their relationship to God and their place in the Universe. Known to his family as the question mark, Ernest Holmes was a passionate seeker of knowledge. He embarked on a path of independent thinking at age 18. He was deeply moved by the work of Ralph Waldo Emerson. He then found Judge Thomas Troward in England who further defined elements of the philosophy that was formulating in his mind. He began teaching Troward everywhere he could. He was also touched by the work of Emma Curtis Hopkins who had begun to influence other great New Thought leaders. He wrote The Science of Mind which is used as a textbook in Religious Science churches. Emerson's entire life was one of spiritual exploration. He has been called the Father of New Thought because he was instrumental in gathering together a group of intellectuals, writers and philosophers to explore the transcendental philosophy. Reading: Emerson's eloquent essays that particularly reflect Science of Mind thinking are Self-Reliance, Spiritual Laws, Compensation and The Over-soul. Ernest Holmes was a spiritual seeker. Born in 1887, he was primarily "home schooled" by his mother, who was an ardent reader. 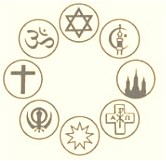 In his teens, Ernest began a search for the similarities in all the worlds' religions. He read extensively about all of them. He was deeply moved by the work of Ralph Waldo Emerson and once said, "Reading Emerson is like drinking water to me." Thomas Troward was born in the Punjab region of India in 1847, educated in England and returned to India to become a Divisional Judge in the Punjab, which is now Pakistan. Troward was interested in formulating a theory of mental healing. When he was asked to label it, he called it Mental Science. Reading: Troward's The Dore Lectures contains a logical, intellectual explanation of this rich philosophy. Holmes discovered Troward's work in 1914, two years before Troward died. He said "This is as near to my own thoughts as I shall ever come." He began speaking on Troward's writing to growing groups when he was 25 without realizing his lifetime ministry had begun. He totally absorbed Troward's ideas and deeply linked them with his own thinking. He was one of the main channels through which Troward's ideas reached American circles. One of his patients and disciples was Mary Baker Eddy, the founder of Christian Science. Because her influence was so pervasive in these New Thought organizations Emma Curtis Hopkins came to be called the "Teacher of Teachers". Emma Curtis Hopkins was a true mystic, and emphasized the mystical element in all her teachings and writing. She drew upon the Bible, the non-Christian scriptures, and the works of the world's great philosophers and saints in her teaching. Her mysticism was a very potent influence upon Ernest Holmes. Hopkins' Scientific Christian Mental Practice is a powerful treatise on mental healing.